The Holiday Gifts Came Early!!! CHECK US OUT ON GROUPON! A healthy smile is a natural way of showing affection to a potential mate or aggression to a potential meal. Let your mouth do its will with this Groupon. 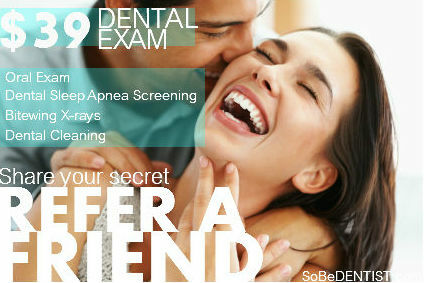 The expertise of SoBeDentist’s Drs. Escoto and Mantovani goes above and beyond cosmetic and general dentistry––for which they are members of several state and national associations––to address sleep apnea and TMJ jaw disorders as well. In addition to relying on them for cleanings, implants, and braces, their patients come to them when they need help screening for sleep apnea or with TMJ symptoms such as headaches, vertigo, ringing of the ears, or head and neck pain. Both pros graduated from New York University’s School of Dentistry, and each has a set of specialties. Dr. Escoto focuses on Neuromuscular dentistry and is fluent in both Spanish and English. Dr. Mantovani specializes in surgery, and has a glimmering list of job and educational experiences that has influenced his career. 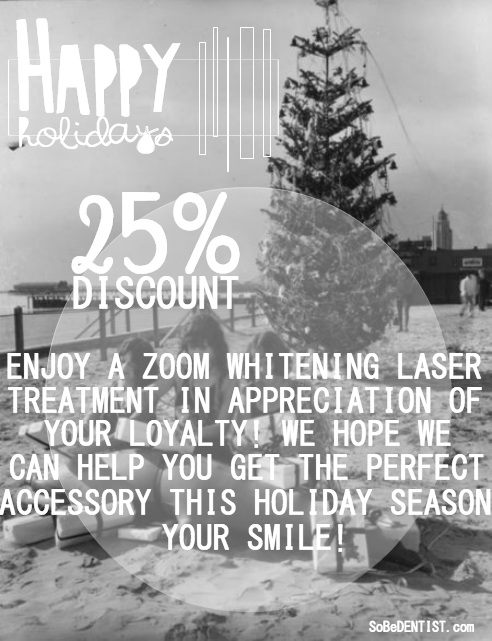 You love our practice, why not share it with everyone? We would appreciate a review from our satisfied patients. Please follow the instructions below to leave a review on Google. 2. Click on “Write A Review”. 3. Login with your Google ID or sign up for a free account. 4. Enter your rating and review and click “Publish” when finished. Check out our bed time! Feeling sleepy? Calculate the the time you should be waking up according to the time you’re falling asleep and by counting backwards in sleep cycles. If that fails, schedule your complimentary sleep evaluation here! Daniella Moray & her testimonial on the improvement her Neuromuscular Appliance made by SoBeDENTIST.com has made in her life! Daniella would suffer of migraine headaches, vertigo, and chronic ringing in her ears. Listen to her story and follow her path to recovery! Apnea means to stop breathing. Sleep apnea refers to a condition wherein you stop breathing during sleep. Most of us know someone who snores during sleep. You may also know someone who has commented that their partner has stopped breathing during sleep for seemingly long periods of – long enough to be frightening. While snoring is often made the subject of jokes or teasing, it could be an indication of serious health problem. The severity and danger associated with sleep apnea ranges from snoring that irritates your partner to life- threatening medical conditions. If the apnea involves physical obstruction of the upper airway and/or heavy snoring, it is sometimes referred to as Sleep Disordered Breathing (SDB). 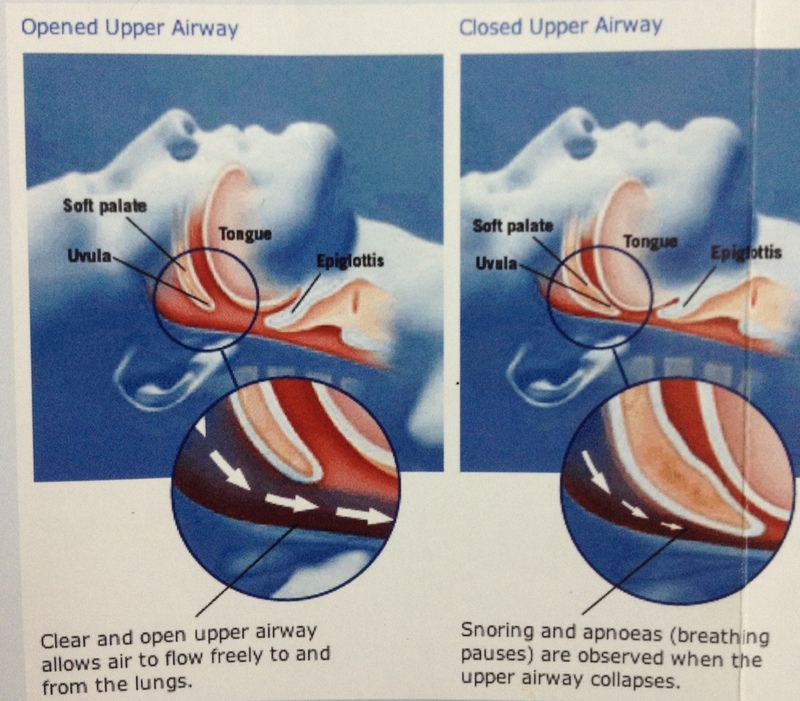 In this pamphlet we’ll focus on Obstructive Sleep Apnea (OSA) as it is the most common form of sleep apnea.